In Kirsty Ferry Tagged In 2018 and September. Hartsford Mysteries series. Other books in series: Watch for Me by Candlelight, Watch for Me by Moonlight and Watch for Me at Christmas. Kirsty Ferry is from the North East of England and lives there with her husband and son. She won the English Heritage/Belsay Hall National Creative Writing competition and has had articles and short stories published in various magazines. Her work also appears in several anthologies, incorporating such diverse themes as vampires, crime, angels and more. Thoroughly enjoyed Kirsty’s latest novel! Can Aiden and Cassie find more in common than just the story of the star crossed lovers, Rob and Stella, in the turbulent world of the 1930s? Set against the backdrop of a historic country house, it’s a fabulous story. Kirsty does it again. 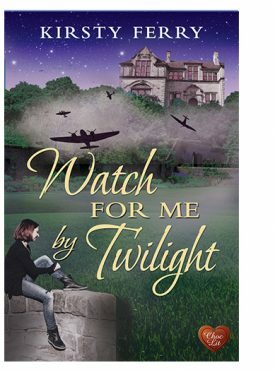 I am a great fan of her previous books so was delighted to be given Watch for Me by Twilight to read in return for a review and this book didn’t disappoint. I can thoroughly recommend it. Again a time-slip novel. We watch two love stories unfold. The first story starts just before the Second World War years and is particularly moving, with characters it is easy to understand and like When Aiden arrives at Hartsford to help Cassie, he starts to uncover his great uncle Robert’s romantic history and connection with the Hall, as well as beginning a romantic encounter of his own. Lovely characters, great story, beautifully written. Thank you Kirsty and I look forward to the next book. The third in the Hartsfords Mysteries, each a stand alone book with a few main characters re-appearing for extra interest. The time slip is not so extreme as in the previous two books, Watch for Me by Twilight slips between the present day and the Second World War. Cassie Aldrich is organising a Living History Weekend at Hartsfords Hall when Aiden Edwards arrives hoping to discover more about his great-great uncle Robert. The past starts during 1936 when Robert meets Stella and her friends at Hartsfords Hall, all living luxurious and carefree lives that are about to change dramatically. Watch for Me by Twilight alternates from past to present as Cassie and Aiden attempt to discover what happened to Robert, at the same time a modern day romance is unfurling. Compulsive reading. I look forward to book four in this series. This is a time lapse story, part of a series but very much a stand alone story. Cassie and Aidan meet when she takes charge of a themed weekend in Hartsford Hall. The story of Stella and Rob is interposed with Cassie and Aiden’s. Both sections are so well written and put together you have to keep reading to find out what happens next. Two romances for the price of one, each one complete,separate but interlinked. The story of Stella and Rob is set just before and during WW2, Cassie and Aiden’s in present day. I loved seeing the differences in life in the two eras and the similarities which love provides. A great read, very romantic but also engaging. I have really enjoyed all of Kirsty’s Hartsford series, but I think this one might be the jewel in the crown. Written in Kirsty’s ‘time slip’ style, this is the story of Cassie (who we have met before in the other Hartsford books) and Aidan, an engineer who comes to her assistance when she rashly agrees to take on the production of a living weekend at her ancestral home, Hartsford Hall, while her sister in law is heavily pregnant with twins. The previous ‘time’ involves Stella, an earlier member of Cassie’s family, and Rob, who is from Aidan’s family tree, at around the start of the Second World War. I am not usually a fan of that era, preferring my history rather older, but this one has slipped through my net, and I am pleased to say that I am so glad it did. It is such a pleasure to read a good story, well written, without lots of unnecessary explicit sexual content, but with a very satisfactory happy ending. Thank you Kirsty, I am looking forward to your next productions – be they continuations of existing stories, or the birth of new ones. I have already read the whole Hartsford mystery series and this one was also a must read. Did it live up to my expectations? Well, the book gets a big YES from me. Normally I am not so keen on stories taking place during the war, but here I was pleasantly surprised. No endless details about the misery or the poverty and although, of course, it was a very sad period, the author focussed on other things. A love story from the past seems to be the base to an ever growing connection between two people in the present. The author reunites us with some characters we already know and introduces some new ones as well. A story full of emotions, good ones as well as sad ones, about reunions and new lives. Read over a couple of sunny summer days, swinging in a hammock beneath a cherry tree. Synopsis: Lady Cassandra, known as Cassie, decides to relieve her heavily pregnant sister in law, Elodie, of the burden of an open event at Hartsford Hall. Not known for her organisation skills, she intends to renovate the dilapidated Spa including pool, tennis and squash courts and use them as the gallery and centre piece to her display of historic memorabilia from days past at the Hall, but she has no idea of where to start. Aiden Edwards a great-great nephew of Robert Edwards, the wartime poet, is a dashing motorbike riding, civil engineer with a desire to uncover his uncles past and learn more about a man whom he admires but has little evidence of his life beyond the war. What he suspects is that Robert may have a connection to Hartsford Hall and its inhabitants of yesteryear. Review: Time slip is not my usual tipple when it comes to books, but the more I read of Kirsty Ferry, the more it charms me. Hartsford Hall acts as the foil to this story. I very much enjoyed the the past agonies of abandonment told alongside each other, the 1940’s wartime and current day and the full circle of resentment, forgiveness and reconciliation. I found the wartime story particularly moving, told with tenderness and feeling. Here, Kirsty bring to life the style and allure of latter day society life and teams it with contemporary life effortlessly. She excels mirroring the history and nostalgia of years gone by with the current contemporary lives of her characters. All the characters are easy to empathise with, even if, we are not all peers! This is one of the books in the Hartsford Mysteries series of which there are currently 3. Rating: 4 STARS – I look forward to reading the other two! 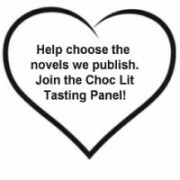 Note: Delivered to my kindle by choc-lit in exchange for an honest review. To be published Tuesday 11th September 2018!